Do you want to assist in the promotion and influence of French language and culture in France? Do you want to support the development of a quality cultural programme? 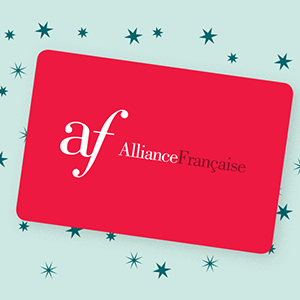 Join the Alliance Française de Rouen-Normandie by becoming an official member of the association. The Alliance Française currently carries out numerous development projects and works on a daily basis in order to improve the welcome for our foreign friends. Do you have a little time and would you like to be useful? You have talent? (don’t be so modest). The Alliance Française is looking for handy people, green-thumbed people, translators, chaperones, cooks, artists, etc. A member of the world’s first cultural and linguistic network, the Alliance Française de Rouen-Normandie is also responsible for hosting and training future players in the dissemination of French. 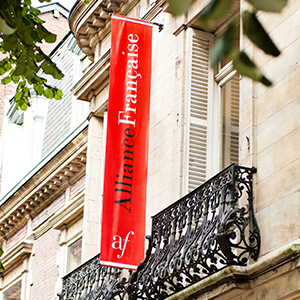 A key player for French in Rouen, the Alliance Française is at the forefront of pedagogical innovation in the teaching of French as a Foreign Language (FLE) for adults. WHAT IS AN AF ROUEN AMBASSADOR ? 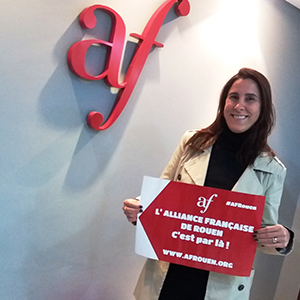 They are a lover of French language and culture who adheres to the values and missions of the Alliance Française, and who wants to promote the advantages of Rouen and its Alliance Française. Each person will contribute to strengthening the influence of the Alliance Française de Rouen and the region at the local or international level. WHAT IS THE ROLE OF AN AMBASSADOR ? 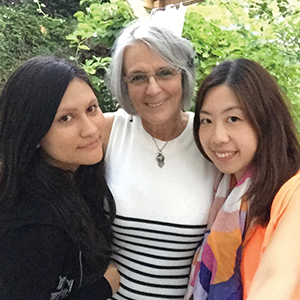 – Promoting the Alliance Francaise de Rouen-Normandie, as opportunities arise, to attract international students all over the world. WHY BECOME AN AMBASSADOR ? Step 1 : To become an ambassador, you must above all be (or have been) a student at the AF Rouen. Step 4 : Have you been selected? Bravo! You are now an Alliance Française of Rouen-Normandie Ambassadeur! 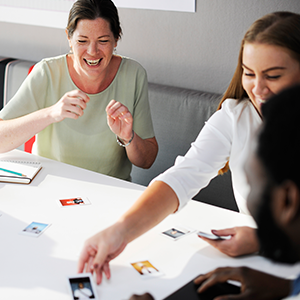 Share your experiences about your course with those around you and let us know.